The beloved extra-terrestrial “E.T.” will appear in the Methow Valley August 8 when Steven Speilberg’s award-winning film kicks off Celestial Cinema 2012, a new Wednesday night series of classic movies to be shown outdoors at Spring Creek Ranch in Winthrop. "Bring your blankets, chairs and appetites", says an advertisement for the event. So why is E.T. coming to Winthrop? Because Sarah Berns, who owns and manages the business at Spring Creek Ranch with her husband, Daren Belsby, loves movies and wanted to do a major summer community event. His parents own the property. “It was a combination of loving film and wanting to see more projected films in the valley and a way to give back to the community,” Berns told Grist. All the films are suitable for young viewers. One percent of the proceeds from each of the four movie nights will be given to a local non-profit organization. The films are paired with specific non-profits, Berns said. 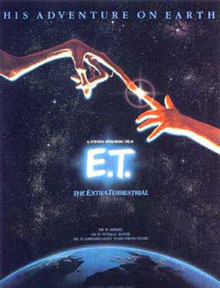 For example, “E.T.” proceeds will benefit Room One, the social services center in Twisp. The movie stars a lonely boy who befriends a stranded extra-terrestrial and Spielburg has said the story is about his own feelings after his parents divorced. 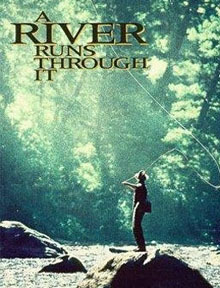 The second offering, “A River Runs Through It,” a 1992 film directed by Robert Redford, will be shown August 15. The Methow Valley Sport Trail Association will receive proceeds. The movie, based on a novella by Norman Maclean, is set in western Montana and is a family drama about the two sons of a strict Presbyterian minister coming of age in the first half of the 20th century. The opening-night audience will vote on three movies Berns will announce that night. The winner will be shown on August 22, and the proceeds will go to Aero-Methow Rescue Service. 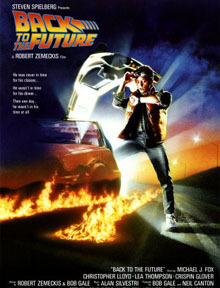 The final film in the series will be “Back to the Future,” the acclaimed 1985 science fiction adventure comedy, to be shown August 29, with proceeds to the Shafer Historical Museum. Berns said she has rented a 21-foot screen and a sound and projector system. “I figured it down to a dime so I need at least one hundred people to show up each night to break even,” she said. Those who come for dinner will find barbecue by Bart and Sue Northcott, pizza slices from East 20 Pizza, and desserts from the Rocking Horse Bakery. Local beer, wine, cider and coffee also will be on sale as will popcorn and candy, Berns said. Spring Creek Ranch is a 60-acre property available for vacation rentals, weddings and other special events. The Celestial Cinema movies will be shown on the ranch lawn where the Old-Time Fiddlers’ Contest was held last year, Berns said. story, photo or news to submit?